Let’s talk about the vitamins which are helpful to the growth of your hair. Vitamin A plays an important role in proper cell growth, which directly influences hair growth. It helps produce the natural oils, also known as sebum, on your scalp. This gives your hair a healthy gloss and shine. Vitamin A contains antioxidants that moisturize the scalp and prevent the hair from drying out. This is one of the best vitamins for hair growth and thickness. It’s important to note that it is possible to get too much Vitamin A, which is going to be counterproductive to your hair growth efforts. Often referred to as vitamin B complex, all the eight B vitamins (B1, B2, B3, B5, B6, B7, B9, and B12) play a significant role in maintaining us healthy. B vitamins influence our energy, metabolism, nerves, muscles, skin, nails, and hair. As a whole, vitamin B complex increases cell growth and division, which is very important for healthy hair growth. To make sure your body isn’t vitamin B deficient, it’s important to replenish your body’s supply daily. That’s because this type of vitamin is water-soluble, meaning the body can’t store it. Rather, whatever the body doesn’t use gets flushed out of your system through your urine. Some warning signs of deficiency will be, you will feel weak or tired, will be bruising easily and your hair will not grow as fast as it used to. Vitamin B12 is the most important among the B vitamins, but for best results try to mix them all in your daily diet plan. Again, the best way to load up on B vitamins is through the foods you eat. Some sources include meats, eggs, nuts, grains, and vegetables. If your diet is lacking in B vitamins, though, you can take a daily supplement. Additionally, some hair care products contain B vitamins for extra support. Most of us have the knowledge that vitamin C can help to increase our immunity, preventing us against frequent colds and other diseases. What many people don’t know, though, is vitamin C can help us to strengthen our hair and help it to grow. That’s partly because vitamin C helps the body produce collagen, a vital protein for healthy hair, skin, and nails. Additionally, vitamin C is recognized as an antioxidant that fights free radicals that damage body tissue. Free radicals have been known to damage hair, making it weak and brittle. If you notice your hair breaking a lot or shedding, it may be due to vitamin C deficiency. While you can simply take a vitamin C supplement, experts say it’s best to load up on nutrients from whole foods. 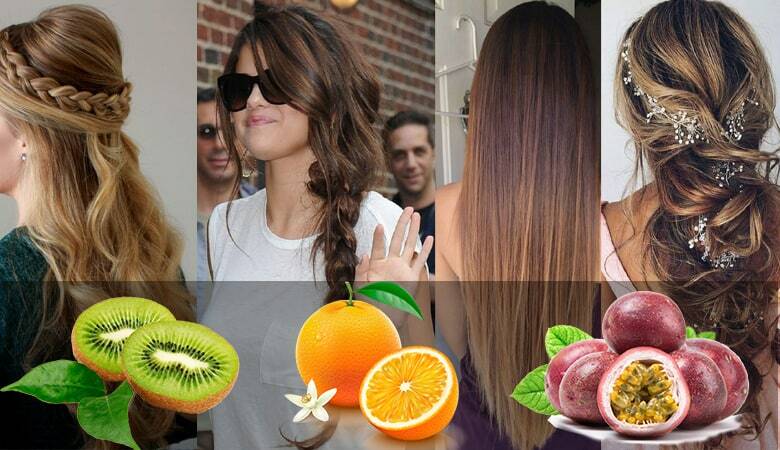 Along with consuming nutritious foods, there are a number of great hair care products that are infused with vitamin C.
Niacin is another vitamin that’s in the B family but deserves its own recognition. The Niacin helps to nourish the scalp, promoting healthy hair growth. Without adequate amounts of niacin, your hair stands the chance of becoming brittle, lifeless, and may even fall out. If you desire longer, healthier hair then doesn’t forget about Biotin. Biotin is rapidly becoming one of the most widely used supplements for faster hair growth. While biotin is a B vitamin it plays such a key role in maintaining hair healthy that it needed its own spot. This vitamin helps produce glucose and break down proteins into amino acids. Since hair itself contains keratin, which is a form of protein, this supports healthy locks. While most people do get enough Biotin from the foods they eat each day, it is a water-soluble vitamin. Again, that means your body can’t retain it and flushes what it doesn’t use. So you need to get enough of it each day or you’ll run a deficit. Many hair care products now contain Biotin. However, that doesn’t mean you should ditch biotin-rich foods or supplements. Rather, a combination of both an internal and external supply seems to work best. Fish oil supplements have many benefits, ranging from heart health to mental acuity. The fatty acids found in fish oil are also great for the hair. They help to nourish and strengthen the hair, and they can also help to prevent dandruff and other damaging scalp conditions. That’s because fish oil helps reduce inflammation. If your hair loss is caused by scalp irritation, taking fish oil supplements will help to soothe the scalp and add luminosity to your strands. So, there is no doubt that few things are better for hair than fish oil supplements. Omega-3, one of the main nutrients that make up fish oil, is well-known for making hair grow longer, stronger, shinier, and healthier. Fish oil is incredibly good for hair. The omega3 fatty acids in fish oil are full of nutrients as well as proteins. These help in keeping the hair healthy. Rosemary oil  has a reputation for stimulating hair growth and has been used for centuries by many cultures for this very purpose. Many people using rosemary oil in an attempt to prevent baldness and hair loss. Say bye bye to all your hair stresses with rosemary oil. It implants new life to diminishing hair, gives you thicker bolts, and helps treat dandruff. Moreover, this basic oil has additionally been found to fortify hair development and treat alopecia. Increase in new hair growth. Can increase in microcirculation of the scalp, which promotes healing. Can improve the ability of hair to resist traction. Decrease in the hair loss after bathing. Aloe vera is an amazing tree that is now a day frequently used in the field of cosmetology. Though there are various indications for its use, controlled trials are needed to determine its real efficacy. The Aloe vera plant has been known and used for centuries for its health, beauty, medicinal, hair care and skin care properties. Keep your hair all smooth and shiny. Can prevent itching on the scalp. Its antifungal substances kill the fungi on our scalps and remove all the bad odor therefor grow hair firstly. One of the best amazing benefits of Aloe vera, it can reduce dandruff. Aloe vera helps restore the pH balance of your hair. Lack of vitamins. Make sure and maintain a healthy diet. Sometimes, your hair growth can be stopped according to your parents’ genes. Imbalance of hormones. Because hormones act an important role in hair growth. Stress can be the reasons. Bad mood and tension can have a direct impact on hair growth. Scalp and skin diseases are the reasons. an unhealthy scalp can cause inflammation and makes it difficult for hair to grow. As psoriasis, eczema. Bleaching, showering, brushing, and roughly handling your hair can be the reasons. Handling hair softly. Rapidly trimming or cutting stimulates hair growth. Using too much hair products and did not clean properly the good reasons. Hair breakage is a common problem due to improper nutrition, heat treatments and pollution that makes hair thinner and prone to breakage. At the certain age, your hair can’t grow. The production of oil in the scalp also begins to slow down and due to this.